Welcome in Chinese New Year with this super quick dish. This week sees the start of Chinese New Year. And it’s the Year of the Pig, which is appropriate given my huge passion for food. I missed out on being born in the Year of the Pig by one year, which is ironic given Pigs have a beautiful personality and are blessed with good fortune in life. 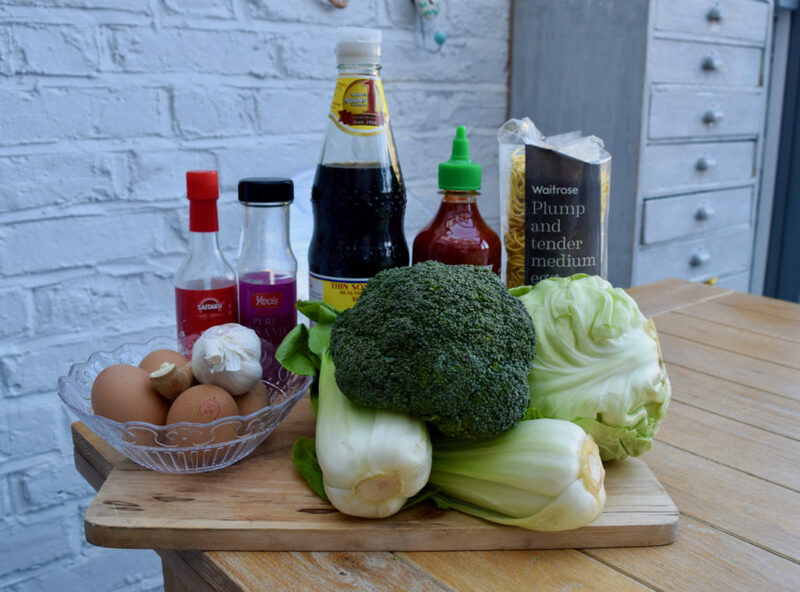 To honour the new year, I decided to share a Chinese style recipe, which has firmer roots in Essex rather than China, as it’s came to me via the lovely Jamie Oliver. These Simple Hangover Noodles may only be vaguely Eastern, but they’re enormously delicious. We are a house of noodle eaters. George being the main offender with his huge collection of ramen which he eats on a daily basis. I prefer my noodles without the excess salt, sugar and palm oil, so these Simple Hangover Noodles are right up my street. Aptly named by the aforementioned Mr Oliver, this quick dish is packed with vegetables, soy and sesame flavours and topped with a crisp fried egg. Whether you are hungover or not, these noodles are almost certainly for you. They are also a great excuse to use up the contents of your veg drawer. I foraged a spring cabbage, a truck load of broccoli and some aging pak choi from mine. Please feel free to adapt this recipe to suit your needs. The dressing is flavour packed and coats the noodles and vegetables to create a subtle but satisfying lunch or supper. Clyde went for a double fried egg on his, and why wouldn’t you? 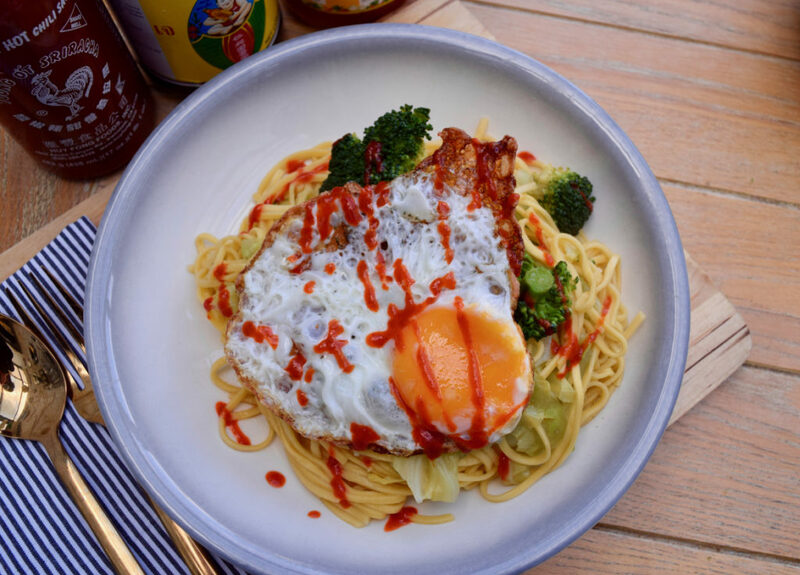 The crispy fried egg is the star of this dish’s show, along with the generous drizzle of chilli sauce. You don’t need to be hungover to eat these noodles. In an ironic turn of events, I actually wasn’t, for a change, when I photographed this recipe and still I felt comforted and soothed by the enormous bowl I devoured. I can think of no quicker, simpler or satisfying way to celebrate the Year of the Pig. This recipe will feature on Lucy Loves later this week. Start by making the noodle dressing. In a large bowl, measure in the grated ginger and crushed garlic. Add the soy sauce, rice wine vinegar, sesame oil and a pinch or grinding of black pepper. Mix well then pop to one side. 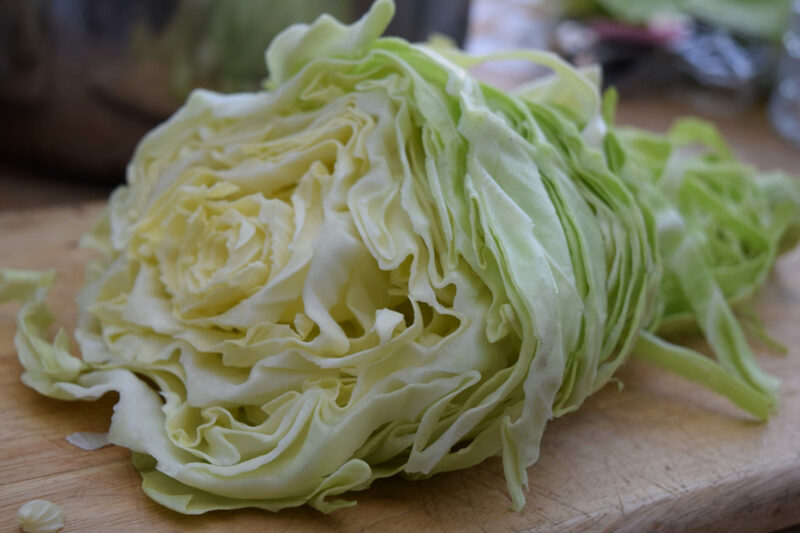 Shred your cabbage, removing any woody bits, cut the broccoli into florets and chop the pak choi. Add this to a large saucepan with the noodle nests. Pour over boiling water and put on the hob. Bring to the boil then simmer for 3 minutes. 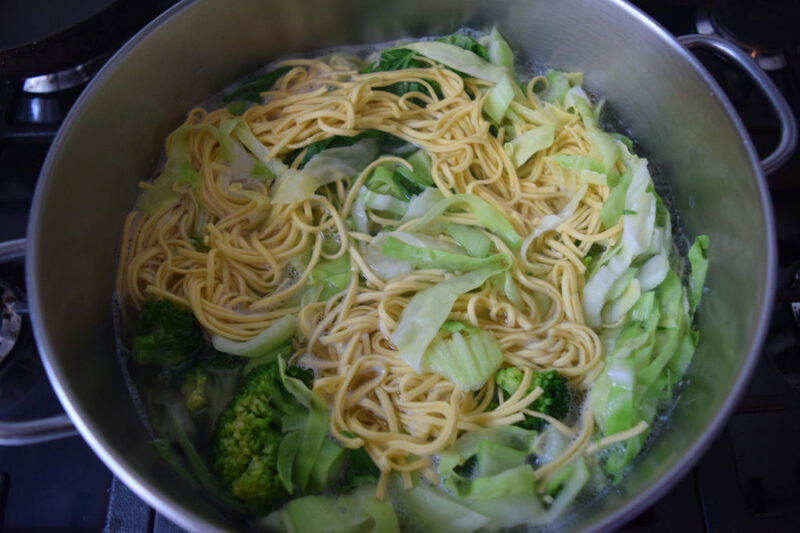 Drain in a colander then add these to the bowl of dressing and combine really well, ensuring all the noodles and vegetables are coated. Serve the noodles in a bowl with a splash more soy sauce. 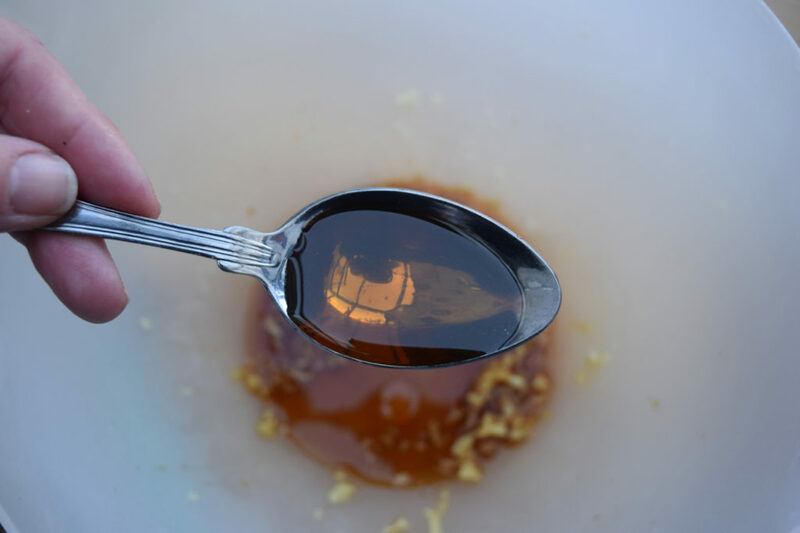 Take a small frying pan and heat a slug of vegetable oil over a high heat. 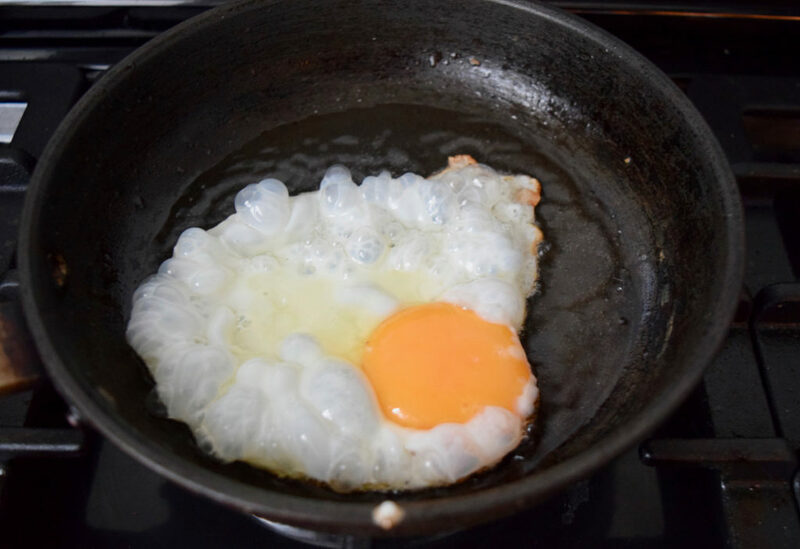 Add one or two eggs per person and fry so the yolk is still runny but the white is crispy, or to your liking. 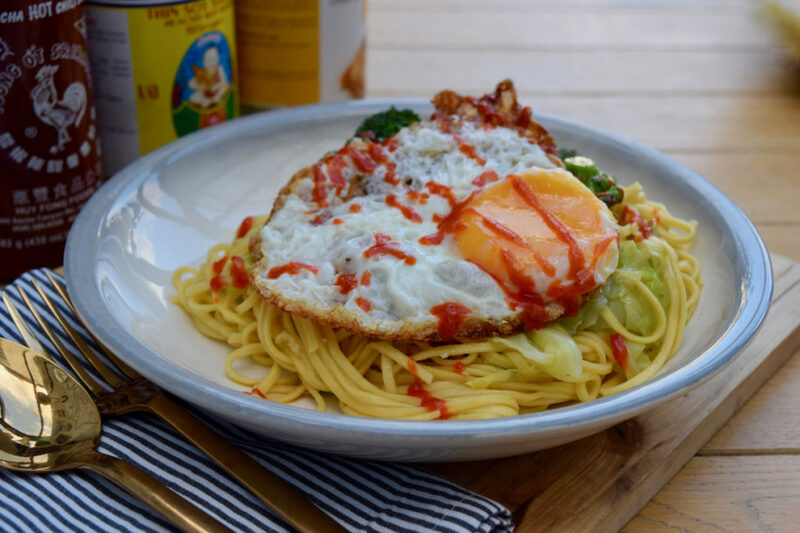 Top your noodles with the egg and add Sriracha, sweet chilli sauce or whatever you prefer.